The Hazard Report lists each hazard discovered on a job or site visit and any steps taken to mitigate it. 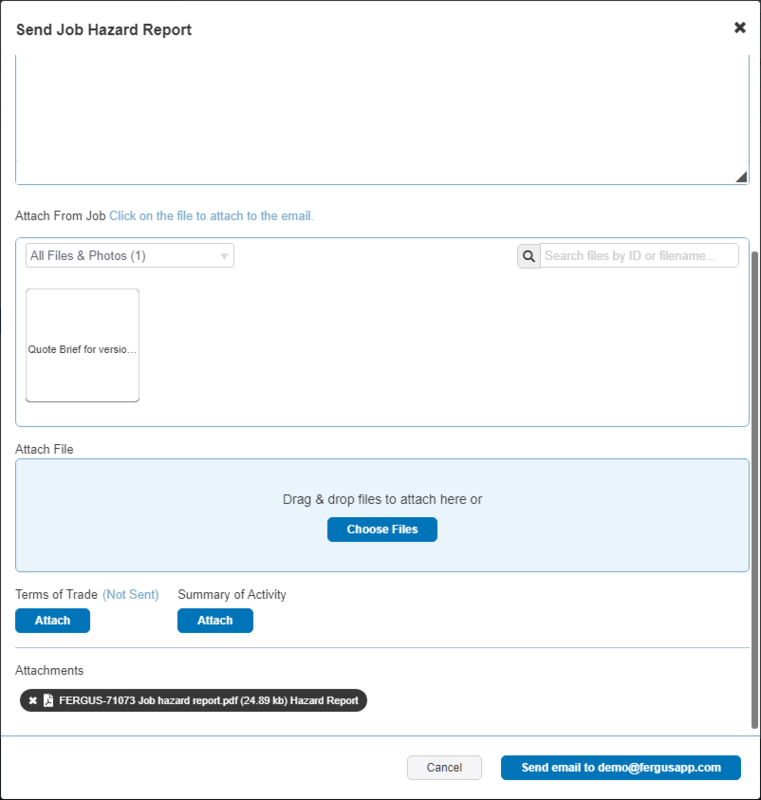 To preview a job's Hazard Report, go to Hazards in the job card and click the ▼ down arrow beside Add a new Hazard, and then click Send Hazard report. The report is attached at the bottom of the email editor. Simply click the PDF link to open and quickly preview the Hazard report before sending it off to your customer. Please note the Hazard Report is a part of Health & Safety which is a Professional Plan feature only.